I tell anyone who listens, and that number is rather small, "If you want a luxury car for its comfort and not its badge, forget the Germans and buy a Camry." This is a bold statement but when it comes to sheer comfort nothing short of Rs 50 lakh can buy anything close to a Toyota Camry Hybrid. 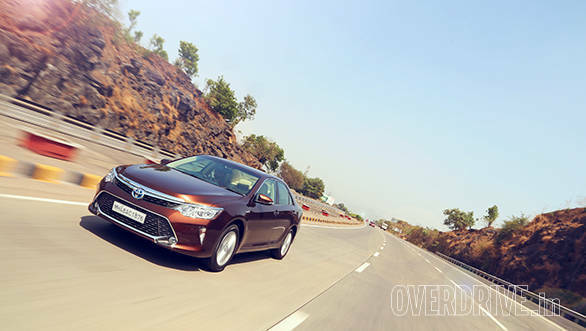 For 2015, Toyota has stuck with the Camry Hybrid's core values but worked on further improving them. So the car you see here has a new face and some small changes under the skin. Toyota calls it an all new car but in reality it is more of a thorough revision. The changes are most apparent in the new face where Toyota has tried to go with a more dynamic look. In that respect the new trapezoidal air dam and bumper integrated lamps do look quite smart but I feel the use of chrome is a bit excessive. Also good looking are the new headlamps that feature LED day time lamps, LED low beam and and halogen high beam. The sides feature very subtly revised skirting that is hard to tell apart even when parked next to the old car - the difference is the lack of a chrome strip. The wheels are new as well while the new tail lamps look similar but use a more energy efficient LED design. Finally, the rear bumper gets a small tweak as well. Overall the car cuts a familiar shape but looks fresh and quite likeable. The same goes for the interior. The overall layout is very similar but look closely and you will notice a few changes. There's a small change in the button layout on the dash and the cabin has cool blue mood lighting. The digital display between the meters is high resolution and gives you nicely rendered graphics on how the hybrid system is working as you drive. The main display in the centre console is also high resolution but also comes with touch functionality. The interiors also get a new shade of beige. The rear bench continues to be one of the best in the business with soft upholstery, a separate zone in the climate control and a reclining feature that let's you move the seat by eight degrees. That may not sound like much but it makes quite a difference and you can sit nearly upright or in a comfortable recline. Knee room, of course, is excellent and leaves nothing to desire. Just hit a button to raise the rear window screen, pull up the blind on your window and relax. 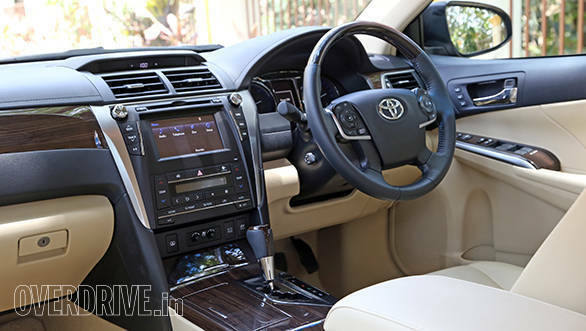 Part of what makes the Camry such a wonderful car to be ferried in is its isolation from the outside chaos. Being a hybrid, the car can run on battery power at low speeds and the only noise you hear is the rumble from the tyres and a mild whine from the powertrain. The series-parallel hybrid system itself is unchanged so you get a 160PS 2.5-litre petrol engine mated to a 143PS electric motor. Simple maths should tell you the total output is 303PS but it is actually a much more modest 205PS. That's because the engine and motor are not arriving at their peak outputs at the same time. Still, the performance is very good for the vehicle with very nice throttle response and an ultra creamy power delivery. The CVT gearbox becomes apparent when flooring the throttle but at all other times, it is smooth and seamless. Just like the transition from battery power to engine propulsion. In fact, the powertrain is so smooth it is hard to tell whether the engine is running or not at low speeds. 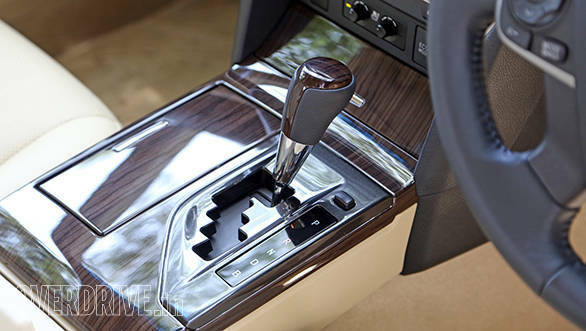 There's no facility to manually select gears but you do have a choice between two drive modes. Eco and EV which allows the car to run off battery power for as long as possible. Of course the Camry is not a sporty car in any right but it is actually quite nice to drive at pace. There is quite a bit of body roll but also a good amount of grip from the Yokohama Decibel E70 tyres. As the name suggests these tyres have been designed to be as quiet as possible and the only time I got them to loudly protest was under emergency braking conditions. Regenerative braking means that the pedal doesn't have a very nice feel to it, especially when braking hard. Braking performance, however, is perfectly up to the mark. Nothing really changes in terms of what the Camry Hybrid stands for. It was already an excellent machine that was resigned to a tiny niche in our brand conscious market. Perhaps the only thing that will change is the price. 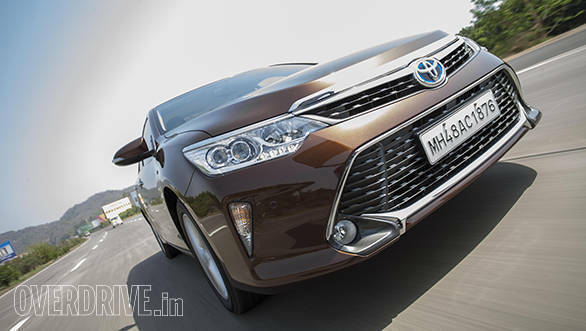 Toyota expects to receive a benefit of about Rs 70,000 under the new FAME scheme which the company says it will be happy to pass on to the customer once it gets the approval from the government. 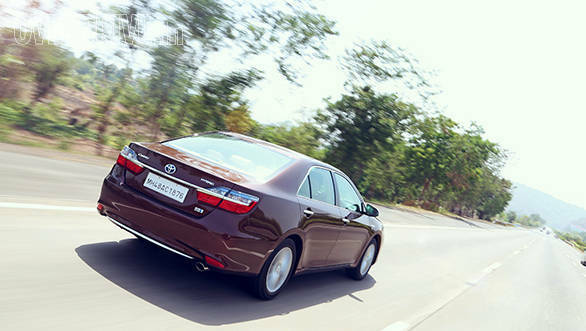 The old Camry Hybrid costs Rs 31 lakh ex-Delhi and while the new one costs a little more it benefits, ex-Delhi. And at that price, I'll repeat what I said at the start. If you want a luxury car for its comfort and not its badge, forget the Germans and buy a Camry.